The Kooks, Daughter, of Montreal and Birth Of Joy will perform at this year’s Positivus Festival alongside the previously announced Kraftwerk, Bastille, Laura Mvula, The 1975 and Kid Karate. Positivus Festival 2014 will be held for 3 days – July 18th, 19th and 20th. Tickets are available starting from EUR 57. The Kooks, who have scheduled the release of their fourth album this year, have long been anticipated Positivus Festival guests. The show at Positivus Festival is highlighted by the fact that the band has not made a festival appearance since 2012. The Kooks debut album, Inside In/ Inside Out was a definable debut in Indie of the new millennium; it was bold, energetic, melodic and utterly thrilling. The band further cemented their indie pop-rock stardom status with their second and third records Konk (2008) and Junk of Heart (2011), respectively. 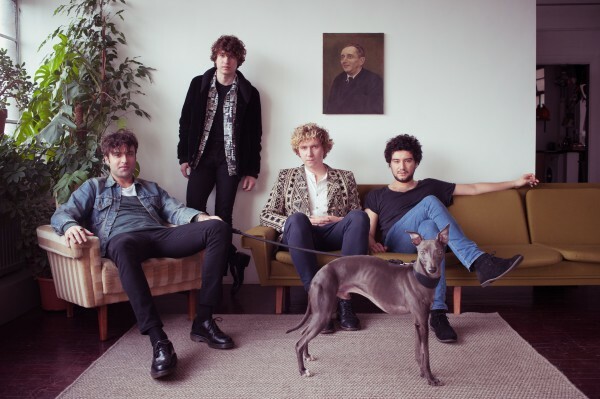 The Kooks have two Top 5 albums to their name, as well as a string of Top 40 singles. Daughter’s musical status is indicated by its record deal with indie label 4AD with rosters including The National, Grimes, Bon Iver, Camera Obscura and others. Their music, with its soothing melodies and ethereal female vocals has been featured on several BBC television series, as well as many US hit show soundtracks, including Grey’s Anatomy; their single Youth was used for the Tour de France promotional video. Daughter’s performance at the John Peel stage of last year’s Glastonbury was described as one of the most dazzling appearances of the 2013 festival. of Montreal’s Kevin Barnes has crafted countless insanely catchy glammed-out pop songs over the group’s multiple album career. Their increasingly bizarre live shows include everything from wedding dresses to stilts, to more outlandish elements. Throughout its existence, of Montreal's musical style has evolved from vaudeville and Beatles-influenced psychedelic twee pop to a mixture of electronica, funk, glam, and afrobeat music influenced by Prince and David Bowie; their recent releases display an array of krautrock influences. With every new release, their audiences find themselves falling more deeply in love with the US collective all over again. The Dutch psychedelic rockers Birth Of Joy have already proven to be a true live rock sensation. Influenced by psychedelica, blues and steaming rock&roll this trio takes you back to the good old times of MC5, The Doors and even Pink Floyd. At the same time they introduce a modern twist influenced by stoner, grunge and punk and hence create their own sound. Birth Of Joy are bound to catapult psychedelic rock&roll back into our modern times. This year’s Positivus Festival will host Kraftwerk, The Kooks, Bastille, Laura Mvula, Daughter, of Montreal, The 1975, Birth Of Joy and Kid Karate.